Virtual Reality. 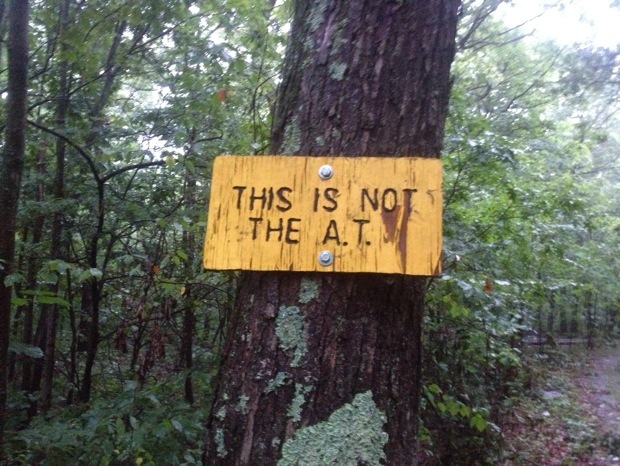 Hiking the AT by correspondence course. 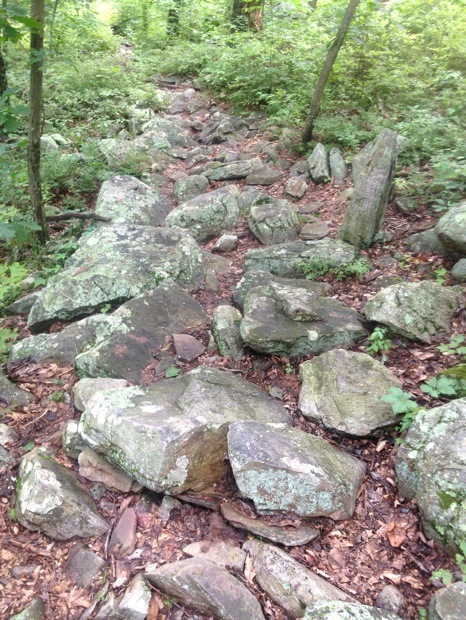 A lot of people would love to thru hike the Appalachian Trail (AT), but they just can’t find the time or the money to do it when they want. There has to be an alternative to having to wait until retirement. Recently colleges and university professors started offering MOOCs. (Massive Open Online Courses) MOOCs remind me of the old days when students took college courses by correspondence if, for some reason, they couldn’t be present on campus. Maybe it’s time to think outside the hiker box and solve this dilemma. If you can’t hike the AT for real, how about doing it by correspondence course? You could make it legit with reading, quizzes and simulated practical exercises such as practicing PUDs (pointless ups and downs) and learning how to stumble and fall while freezing, baking and boiling? Imagine what the AT correspondence course might be like. Cue the dream sequence music…. It’s late winter. You’ve registered, and there you are anxiously awaiting arrival of your course materials. You hitch or hike to your local post office. Hey Mr. Postman! Look and see. Is there a letter or package for me? Lesson One: Reading Material. Find a cell phone provider that radiates one bar in your area. On that phone, read a dozen Trail Journal blogs every day. Fill out the quiz you will receive by email by typing long answers with your pfat thumbs. You get bonus points for doing it while standing in the rain or snow. Later, the doorbell rings. You look out side. Looming in your driveway is a ginormous Terex MT6300 dump truck. 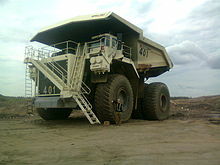 It carries 400 tons in a single load! Just your luck. Today it’s brimming with specially sharpened and oiled Pennsylvania-grade hiking stones. Lesson Two: Terrain. The MT6300 dumps a mountain right there on your driveway. Leave it be. It’s for practicing PUDs. But, do spread some of the extra stones a foot deep over half of your yard. You’ll be having your sleep on the rocks for the next six months. Dig up the other half of your yard and turn it into a swamp. Don’t forget to wet the rocks frequently and scatter the rubber snakes found in the miscellaneous parts package. Of course you scrounged up everything on the equipment list. Lesson Three: Drinking water. Find a mud puddle and fill your water bottles. Add two Aqua Mira pills to each. Wait 30 minutes, then drink. Just a little later, a muddy brown UPS food truck pulls up with cases of dehydrated oatmeal, spaghetti and jars of peanut butter, tortillas, pop tarts, and Knorr noodles with tuna. Yummy! Lesson Four: Indoor environmental simulation. This is the one time you’re allowed inside. Put on your rain gear. Prepare a meal and go into your bathroom. Eat the meal while standing in a cold shower. It’s also the last shower you’re ever going to get. Lesson Five: Blogging. Write a Trail Journal blog about how great the meal tasted and how much fun you’ve had so far. Obviously, the course is just warming up. With each passing weekend you hike or hitch to the post office for new lessons. Why mail? WIFI and cell phone connectivity is iffy out on the trail. We need to simulate as much realism as possible. That’s why you can’t take this course on line. Let’s fast forward. Weeks pass. You hike up, down and all around your rock pile for eight hours every day. Your feet blister. Toe nails turn black and fall off. Finally spring arrives. Lesson 75: Flora and fauna. Plant your yard full of the poison ivy you received by FEDEX. Set out pots of stagnant water. Time for the mosquitos and ticks. When nature calls, good luck with that. And so it goes on endlessly. Each night after work, every weekend, your two-week vacation, month in and month out. In circles you march. Lesson 82: Mud flopping. Practice falling into the muddy part of your yard while wearing your pack. Roll over and do it again, and again, and again. Extra points for breaking your hiking poles. Those special high quality Pennsylvania rocks shred your boots. You fall. Ankles and knees twist, yet you persevere endlessly onward in the rain, sleet, snow, humidity and burning summer sun. You even have to climb an extension ladder and hike over your roof a few times. Each night you file a blog post about your wonderful experiences. Once a week on the way to or from the post office you stop at Mickey D’s to pig out on burgers and fries just like a real hiker. Last Lesson: Climb to the top of your rock pile. Take stereotypical photo with cardboard Katahdin sign facsimile and declare victory! If you enjoyed the shower sequence, you’re qualified. Sign right up.